My favorite part of this download? The photo booth mouse ears. How can you not love that? Or you could tie ribbon to the ends, and party goers would have their own set of ears. Everybody feels happier with mouse ears. IT'S A PROVEN FACT.... probably. 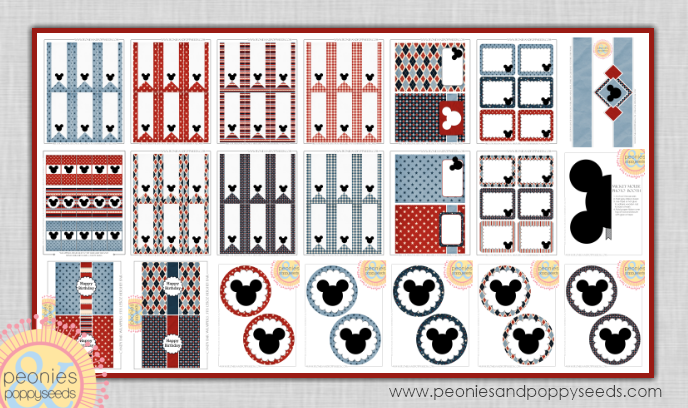 Don't forget to grab the rest of the Mickey Mouse birthday printables! Meanwhile, you should enter the Easter DVD Giveaway. You can enter up to four times, and it's open until 9pm, March 28th. GO! GO! GO!